The new version of Hastlayer is out! Apart from nice Transformer improvements this also includes one huge example: An implementation of the 3D Kardar-Parisi-Zhang surface growth simulation algorithm. This algorithm simulates how the surface of a material (like a silicon wafer used in chip manufacturing) changes over time. 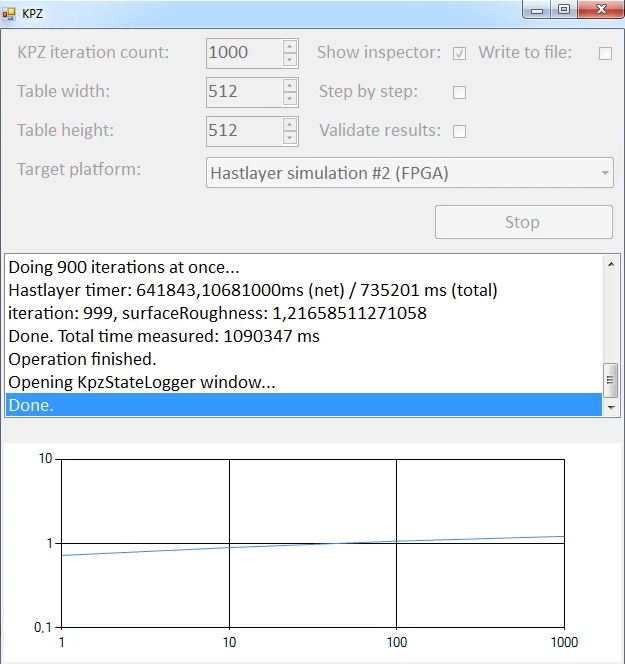 We created the KPZ example in collaboration with the Wigner Research Centre for Physics to test against an existing GPU implementation (testing is upcoming). Also, don't forget that the Hastlayer World Tour is still on with three events coming up!